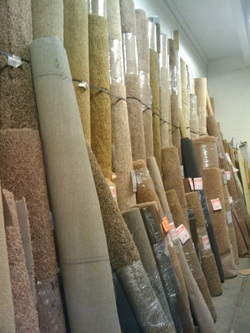 We have many carpets remnants at a low price. Starting at 4 square yard for $1.25sy. This is just a scratch of the surface of Remnants we have. Also have many styles and prices in Stock to fit anyone's budget. We have added more to the Remnants. Many shelves and new area to show more Remnants.